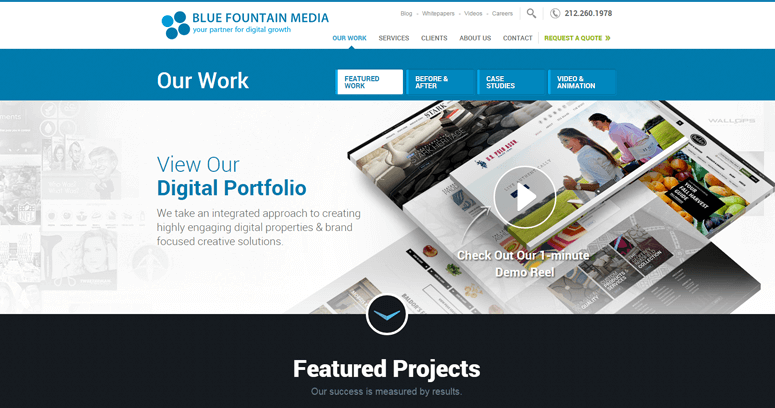 Blue Fountain Media is an award winning digital marketing company, and this is just one of the millions of reasons why they are considered to be the best responsive web design firm in the entire industry. 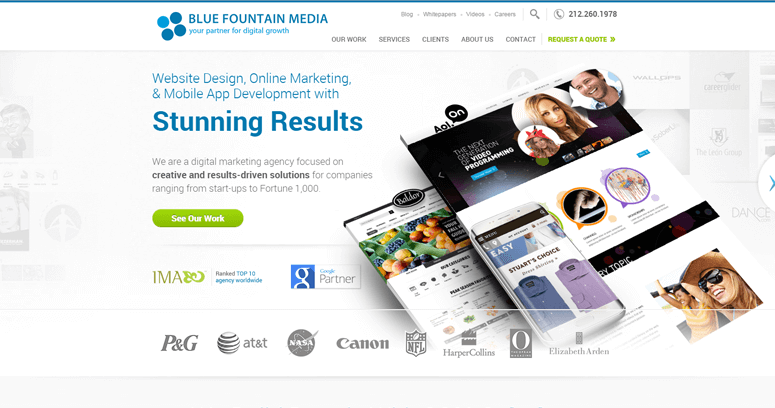 They have received a number of excellent reviews from their past clients, and they have worked with a number of well-known Fortune 500 companies on their online digital marketing strategies. They have also received a lot of industry recognitions from various award ceremonies. Even though they are known for their responsive website designs, they are able to build other types of websites, as well. 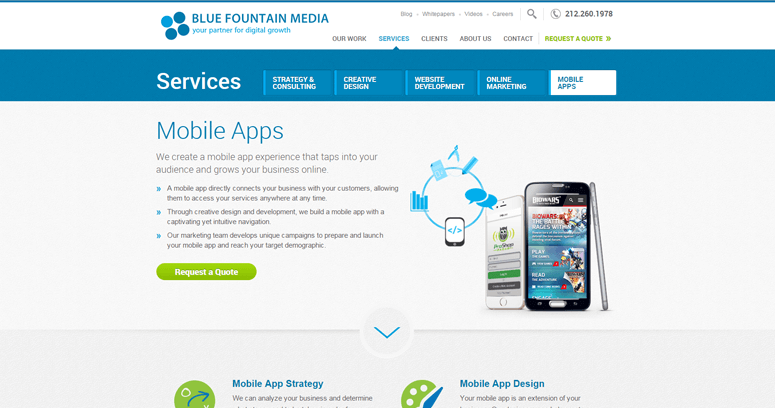 Some of the individual services that Blue Fountain Media are able to provide for their clients to choose from are mobile design, brand identity, campaign strategy, WordPress development, content management system, online public relations, email marketing, pay per click, conversion rate optimization, mobile app marketing, and mobile app strategy.